It seems the success of your Bob Fudge song prompted many to buy the Bob Fudge - Texas Trail Driver book from Walter and Ethelda Clark of Forsyth Montana whose address you kindly posted on your website. In 1981 when the Clarks secured the copyright they had 2,000 copies printed, never sure they would sell all of the books. When the song took hold and you let people know that the Clarks sold the book, orders came in from across North America. Recently the Clarks sold their last copy and commissioned another printing of 500 books. I located the original manuscript at The Center for American History at The University of Texas at Austin. As you know, the author James Russell spent the winter of 1932 with Bob Fudge, hand writing notes about Bob's life, forming the basis of the manuscript. Bob retired in Montana's Powder River County where he worked for Frank Wilbur. Bob willed Frank's daughter Charlotte Wilbur part of his ranch and the same copyright that the Clarks acquired. This material is contained in "Box 2H463 of the Earl Vandale Collection, 1813 - 1946" and must be requested as such. The Center will only photocopy the entire folder, which is slightly less than 300 pages. The Vandale Collection is indexed completely at http://www.lib.utexas.edu/taro/utcah/00051/cah-00051.html. 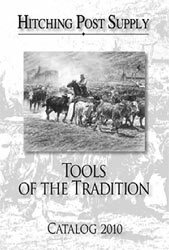 I hope that this is of help to those who would like to read an important story that preserves facts of how Texas herds were contracted to the Montana range and the remarkable men who drove those herds and helped settle the northern states.